“One man’s meat is another man’s poison” the old saying goes. I imagine it means that taste is a personal thing. We are all individuals who make up our own minds on subjective matters such as food preference, art, entertainment, literature and music. I went to the local shops yesterday. Has an email recently gone out instructing all retailers to hustle for extra business? First, to the post office to send a parcel. “Whatever is the cheapest way, please.” Would I like to insure the parcel? No thanks. Would I like proof of delivery? No thanks. Do I have a credit card? Er, yes. Do I go abroad? Hmm. Yes. Would I be interested in the post office’s own credit card which is the only one not to charge for foreign transactions? Nope. I use the Nationwide credit card which also doesn’t charge for foreign transactions, thanks. Bye. Purists deride the new-fangled Twenty20 cricket format. Me? Well I don’t know the first thing about the game, so it may well be an ersatz imitation of proper cricket. But I know what I like, and that’s a few hours on a balmy June evening sipping beer and watching a fast-paced game in a family atmosphere. Liberty director Shami Chakrabarti was the victim of joke binoculars yesterday, and had to hold her chin up with her fist to stop herself suing the prankster. This blow came on the same day she wasted time threatening the culture secretary, Andy Burnham with legal action when she should be out there campaigning for the protection of civil liberties. 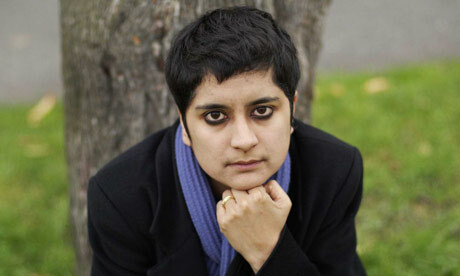 Someone should tell Ms Chakrabarti to behave a bit more like RMT leader Bob Crow, and to get over herself. Somebody walked chewing gum in on the sole of their shoe yesterday. Now in most households, a quick scrape of the laminate flooring would deal with the offensive blob. However, we have an old-fashioned floor covering called carpet which is ideal for creating a challenging mess in the middle of your living room. The gum clings tenaciously to every fibre and seems impossible to remove. However, I found that a combination of technology, chemistry, physics and perseverance will triumph over Wrigley’s most obnoxious waste product. Arrive to? What happened to “arrive at” or “arrive on”? Is this a national thing? Maybe it is peculiar to Stockport. After all, there aren’t many stations which have a platform zero. Stockport does. They were obliged to designate the new platform “zero” when they added it next to platform one. If Stockport station is expanded further, we could get a platform minus one. Years ago, the British telephone organisation (now BT, but formerly the General Post Office or GPO) got into trouble when its bean counters decreed that operators should not end the call with a thank you or goodbye, because that took time, and time is money. There was a public outcry at this hard-nosed attitude to manners, and the decision was reversed. Yesterday the British government won – by a majority of only nine – its proposal to extend the time a suspect could be held without charge from 28 days to 42 days. An overhaul of counter-terrorism laws in 2000 introduced the basic 48-hour detention, extendable to seven days with the permission of the courts. In 2003 that was doubled to 14 days – and the Terrorism Act 2006 took it to 28 days. Can you see a pattern here?